Windsor Festival Opening Evensong at 5:15pm. No tickets are required. This service, in common with other daily services at St George’s, is open to all. After the service why not consider staying on in the Castle to hear the band of the Coldstream Guards perform on the parade ground just as they did at the inaugural Festival in 1969. Haydn’s ‘Creation’ will be performed by the Windsor & Eton Choral Society in St George’s Chapel. Ralph Allwood of Eton College will conduct the performance which begins at 7:30pm. 2009 marks the 500th anniversary of the accession of King Henry VIII. Both St George’s Chapel and King’s College Chapel, Cambridge, were completed during his reign. The choirs of both Chapels will perform music by Bach, Handel, Harris and Parry conducted by Stephen Cleobury and Tim Byram-Wigfield in a concert entitled ‘Regal Reflections’ which will start at 7pm. Mr Byram-Wigfield is Director of Music at St George’s but began his musical career as a boy at King’s College. To mark Henry VIII’s accession anniversary Quintessential Voices will present their programme of music and readings ‘Pass Time with Good Company’ in the Quire of St George’s (where Henry VIII is buried) and the Dungeon below the Curfew Tower. Ian Bostridge joins the Orchestra of the Age of Enlightenment for a concert of arias and orchestral works by Handel together with Brandenburg Concerto No 3 by J S Bach. The concert begins at 7:30pm. 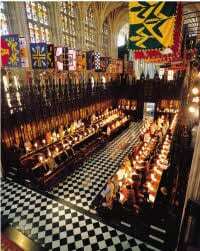 David Starkey will speak on Henry VIII, ‘Virtuous Prince to Tyrant King’ in the Nave of St George’s Chapel at 3pm. Throughout the Festival period there will be an exhibition of Collagraphs by Brenda Hartill on display in the Nave and Dean’s Cloister. The exhibition hours are Monday to Saturday 10am to 4pm. Windsor Castle admission fees apply (Advantage card holders have free access when the Castle is open to the public). 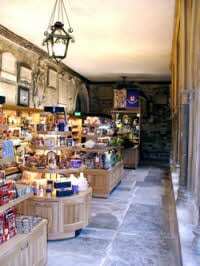 The Shop located in the Dean’s Cloister will open before all the concerts in the Chapel and during some of the intervals. Why not take the opportunity to find a unique souvenir or gift from this one off shop which has many exclusive lines. 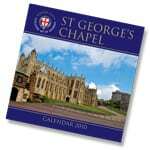 For instance the 2010 St George’s Calendar features a Windsor Festival concert on the September page! Tickets can be obtained for the concerts, recitals and talk via the Windsor Festival box office (www.windsorfestival.com) or in person from the Information Centre in the Old Booking Hall, Windsor Royal Station (10am-4pm) or by telephone on 01753 740 121.